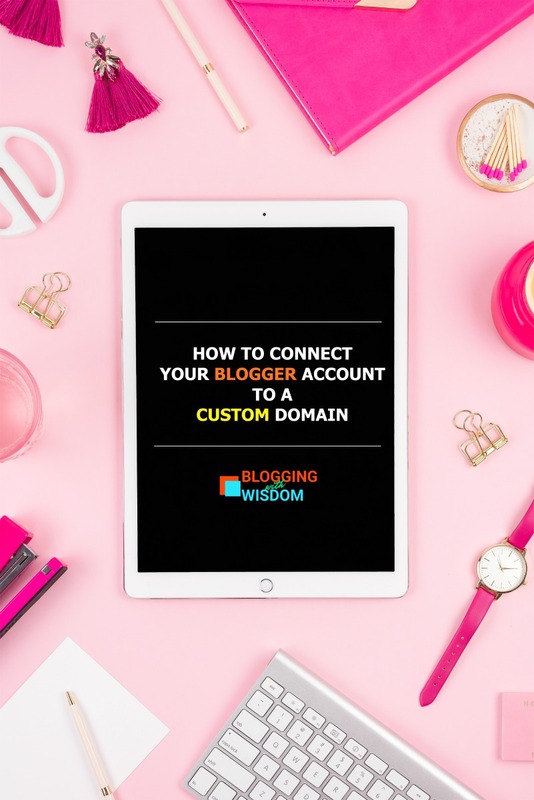 Should you buy your domain from Blogger or an independent hosting company? Although, Blogger does give you a custom domain for a little fee, I highly recommend you buy it from somewhere else. Why put all your eggs in the same basket, right? Getting a domain is very simple. You just have to search on their site if the name is available and then follow the steps to pay for it. So go to namecheap.com or godaddy.com or bigrock.com (like I did! my favorite people <3) or any place you like. In this post, I am going to show you how to use BigRock because that is where I bought my domain from but you can try anyone else you like. BigRock is my favorite place because I have been using them for a very long time and they never gave me any trouble. I bought my first domain and hosting from them in 2012. Since then, I have bought 3 sites with them and by far, they are the least hassle. For hosting too they are very reliable and easy to manage. I've tried a lot of different hosting companies in the past 12 years but for domains, I stick to BigRock. After buying your domain, open blogger.com in another tab. Sign in to your account and go to settings. 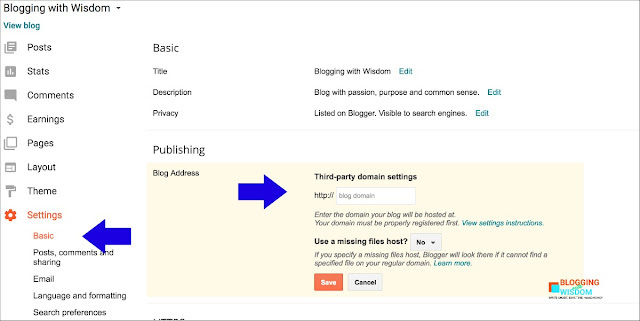 In the settings tab, go to Basic settings and see your blog address in the publishing area. (see picture above). Change the address in third party settings to yourname.com. Click save. It will say 'We have been unable to verify your settings', followed by the missing records. 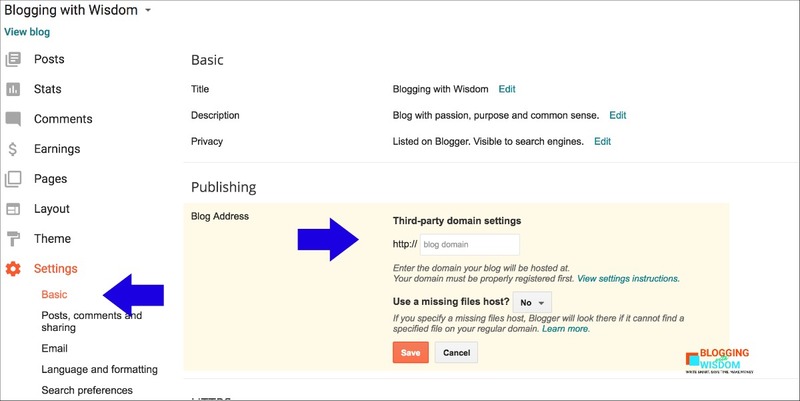 You have to grab these CNAME details from blogger first. 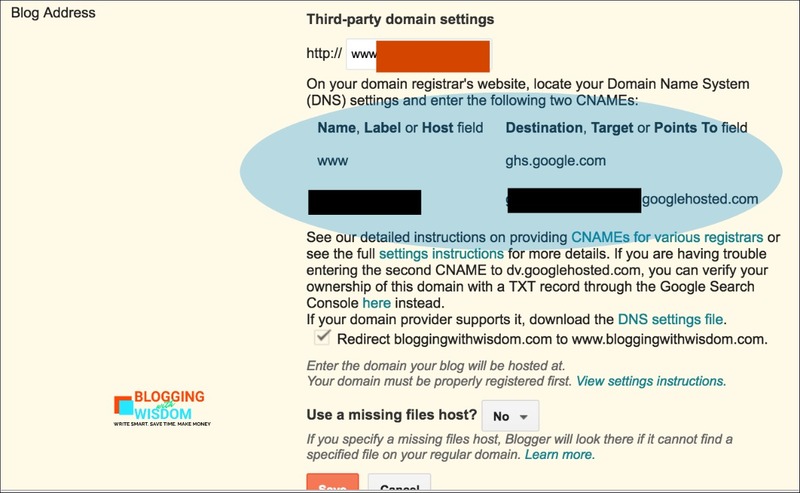 When you changed your domain from yourname.blogspot.com to yourname.com and clicked SAVE in Blogger, you may have seen the above screen. So let's go to BigRock and find your DNS settings. Select your domain name on BigRock dashboard. 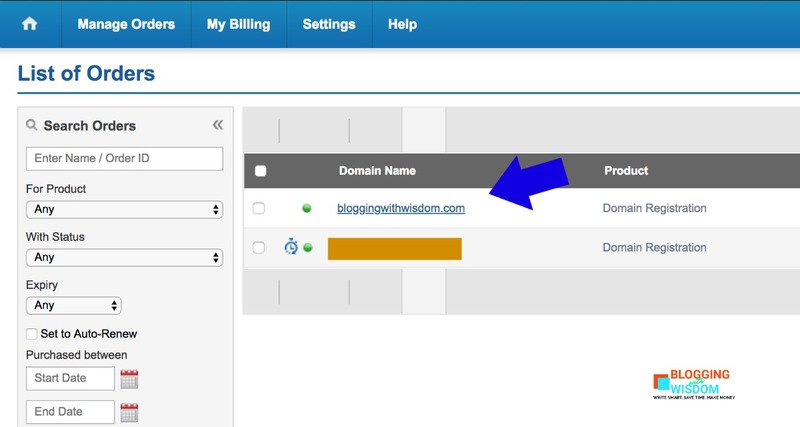 When you click your domain, you will find yourself on a page with all the settings. Scroll down till you find DNS SETTINGS on the right side of the screen. When you click that a new page will pop up. Click CNAME Records to see the above picture. 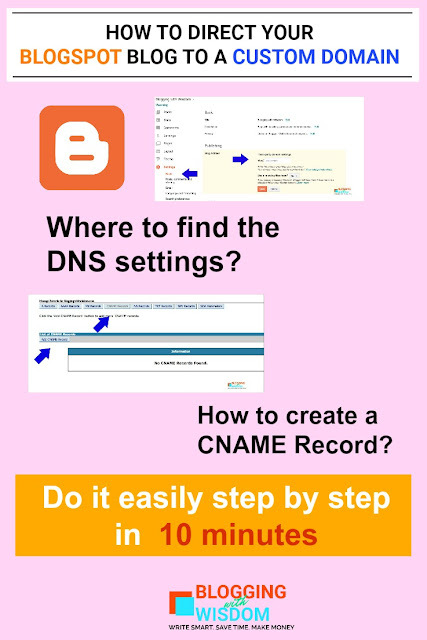 Click Add a CNAME record. This is where we will fill in the details that blogger had given us. You have to create two CNAME records. Let us do the first one first. Fill in www in the blank for Host Name. Click save. You have created your first CNAME record. You should see this picture below. Now, you have to make another CNAME record for the second values. Just follow the same steps as above. Click add a CNAME record and fill in the values but this time in place of www, you will fill in the second hist name that blogger gave you. In place of ghs.google.com you will fill in the second value. Write the TTL just as you wrote the previous one and then click save. Switch back to the blogger tab. Hit save to that box. This time it will show this screen. If for some reason it hasn't redirected, check the above steps to see if you followed them correctly or not. That is it. YOU are now yourname.com. Congratulations! Ready to write your first post? Download this Freebie to start planning your content. What is a blog? 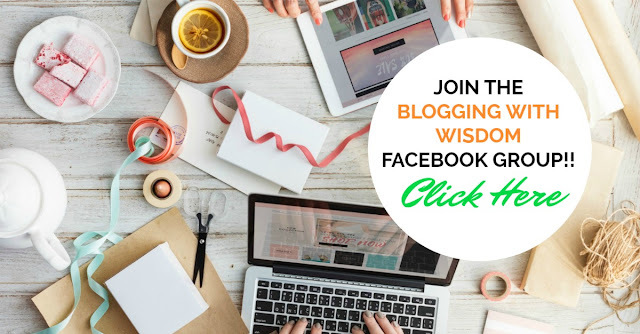 When I first started blogging, blogs were called as a weblog and that is what they really were - a log of thoughts on the web. Bloggers wrote about their life, their daily struggles, ideas they had, intellectual discussions and debates. They were budding writers, amateur artists and some professionals too! There were scientists, students and mathematicians! Weblogging was their platform for ideas that they wanted to share with the world.